The Societies of Photographers run a variety of competitions for both members and non-members alike. The member’s monthly competition runs for 11 months per year and has a range of categories, which cover just about all aspects of popular photographic subjects. Images from this competition are judges monthly with the top images being awarded the converted ‘Gold’ award. Images which can also receive a highly commended and may go forward to the annual judging which takes place in December when all the ‘Gold Awards’ are reassessed, with the category winners and the prestigious ‘Photographer of the year is chosen. 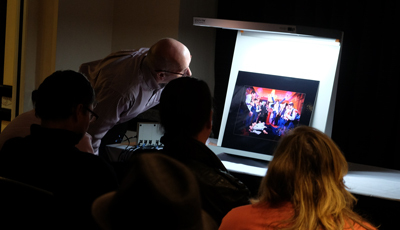 Prizes and trophies are awarded on the Presentation Evening at The Societies of Photographers’ Convention. Who Will Win the Photographer of the Year? The winners of the Monthly Image Competition will be announced at the annual Presentation Evening during The Societies of Photographers’ Convention which takes place in January each year. Over 500 people will attend this prestigious event to find out on the night who is being recognised for creativity, innovation and effectiveness for their photographic skills. Make sure that you are there to celebrate excellence within the photographic trade. Judged at the annual Convention in public so that anyone can attend and watch the process and learn from the experience. Open to all photographers this highly prestigious competition is sponsored with terrific prizes given by leading photographic manufacturers. Highly commended images will also be included in the Convention exhibition area for attendees to see entries. These competitions are run throughout the year and are promoted through social media sites. Each competition offers prizes which are awarded once the judging has taken place.